White and peach. With pearls and crystals. Vintage! Super sweet! Purple on the tips, white base with pink roses. All done using gel colours. Maybe a how to of the last one? 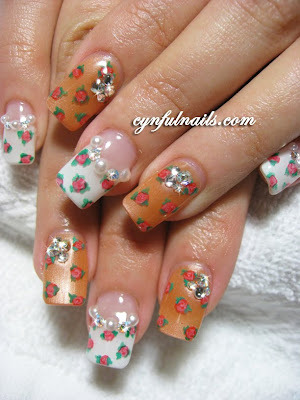 Gorgeous nails! Can't resist floral print.